Thanks to the mechanism of production, transportation and deployment, MOMs cost less and are easier to build than structures built using traditional methods. Moreover, the price of our products is always closed. Mom Structure is the cheapest way to build your house or warehouse. Transport and assembly rarely exceeds two days. The advantages of quick construction are huge, since it reduces the time you are exposed to unpredictable weather conditions and the setbacks that unfortunately occur in traditional construction processes. Material, size, distribution. Everything is possible. Your construction will be what you want to be. Do you want a new warehouse? Maybe a new home? Everything is possible. The assembling mechanism is so versatile that any of your ideas are made possible. 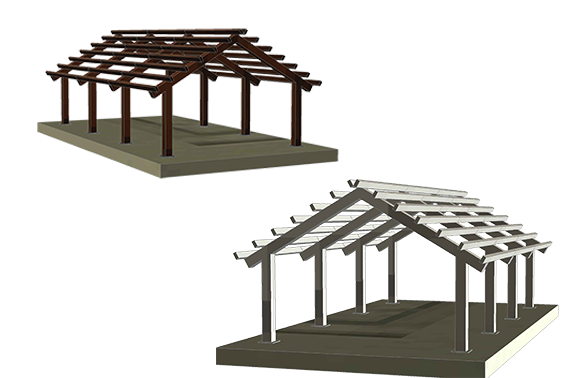 We build the structure you need, with the desired size and with any material. Just tell us if you want one or two levels, wooden, steel or concrete pillars, if you prefer a large warehouse or a cozy cottage. No limits to dimensions, shapes, materials or distributions. And no limits to destinations, as we ship worldwide. The structure is provided worldwide as a compacted piece which offers several advantages. Just one person could deploy the structure to its final state, with obvious benefits in terms of money savings, autonomy and sustainability. You just need a prepared surface. The design is optimized for maximun performance with minimun cost and material consumption. The calculations more than ensure compliance with CTE and Eurocodes regulatory requirements. If you would like more details, please visit the Specifications section. We do them for you, and we can also develop the work project. MOMs meet all Spanish and European construction regulations. That’s one less thing to worry about when building your new home or warehouse. The use of heavy machinery is history. With MOM Structures you can say goodbye to crane and concrete mixer rentals for days or weeks. The structure is transported, unloaded and deployed. It’s as simple as that!